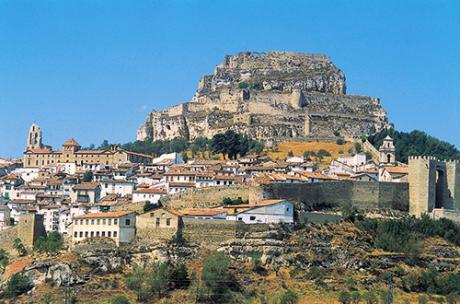 Morella has innumerable reasons to be visited. All of the major civilisations - Iberians, Celts, Greeks, Romans, Carthaginians and Arabs - have left their mark on the capital of the “Els Ports” region, where Bronze Age Neolithic remains have also been found. The city was built at the foot of the castle, and is surrounded by a stout wall. Its privileged enclave, portico streets, Manorial homes, enchanting locations and rich cultural patrimony are just some of the motives that have resulted in it being declared a Historical Artistic Site. These lands were inhabited approximately 60 million years ago by the dinosaurs, and now aspire to become Patrimony to Humanity.